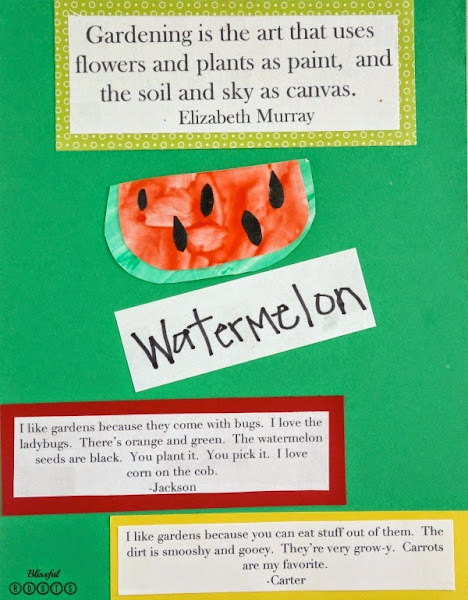 I was going through some papers the other day, and ran across these garden art pages my boys and I made quite awhile ago. I had forgotten how cute they were! 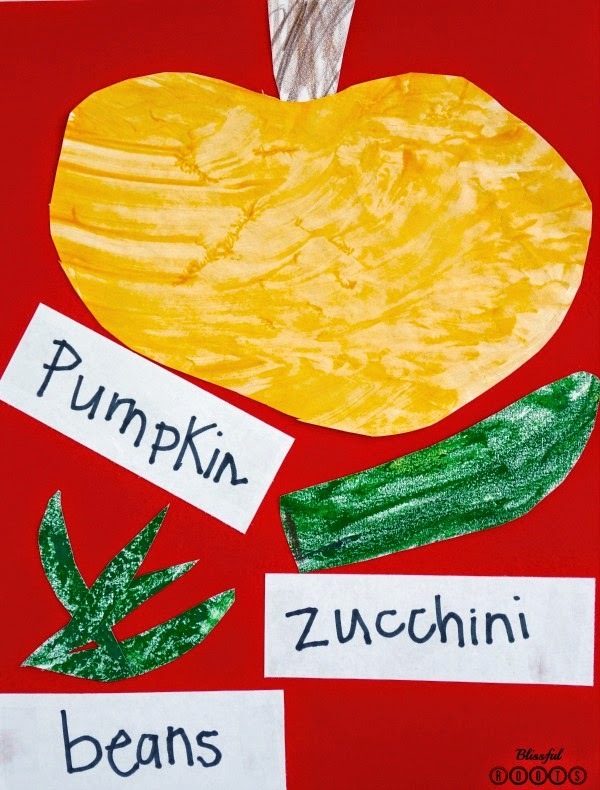 My twins were only about three when we made these, so drawing the vegetables was a bit tricky. The perfect solution? 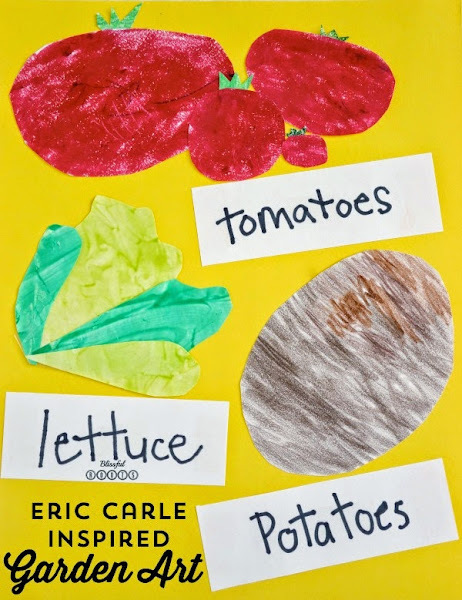 Go Eric Carle style. 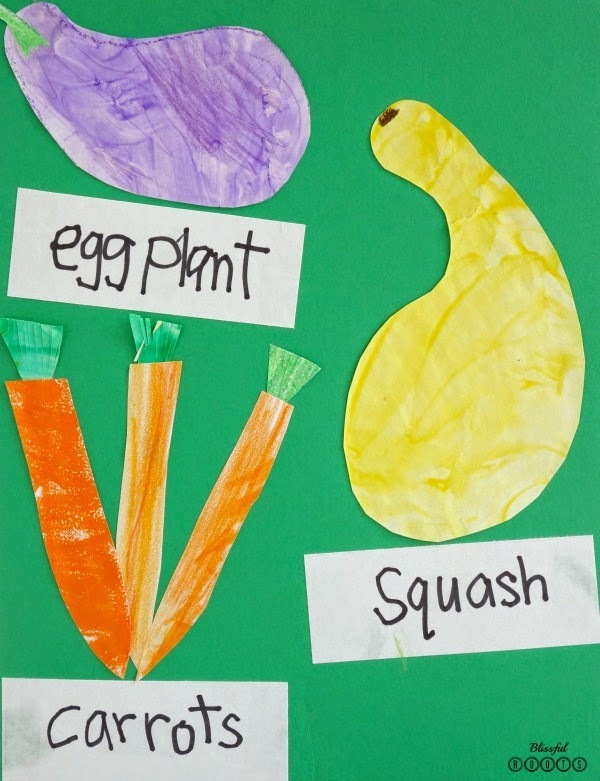 They just colored papers in different colors, and then I cut out the shapes of the veggies. They painted some papers, and used crayons, markers, colored pencils, and whatever else we had. Then I cut out the vegetable shapes and attached them to some card stock. The boys helped me write each vegetable name when we had everything glued on. And by the way, we have never ever planted an eggplant, but they had learned about it in a book, so we had to include it! I also added a favorite garden quote, and then had my boys tell me what they liked about the garden. I typed up what they said, and added them to the page. Cute art, and some journaling as well . It's making me realize we need to do this activity again! wonderful artwork. I appreciate your work. Thanks for sharing the design. Colorful vegetables art combination. I like it. Excellent food photography. Awesome award for photography winners. This award will inspire the photographer to be dedicated to his/ her work. Heartfelt thanks to the organizer. clipping path service is very helpful for photo editing.